The stage for Friday's gubernatorial debate was more rustic than their other showdowns. 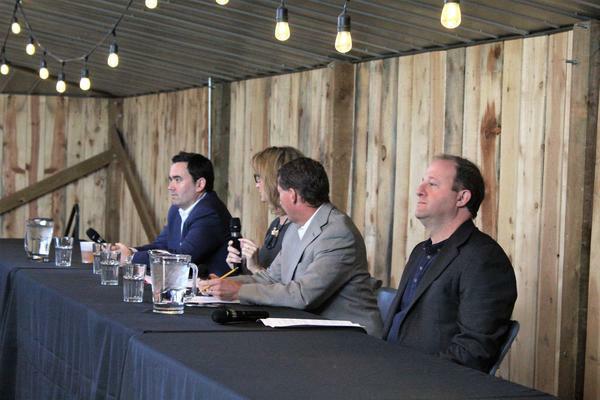 Jared Polis and Walker Stapleton squared off Friday morning inside of a barn in Kersey, just east of Greeley. The debate venue was so rustic, the tables in the barn were all equipped with fly swatters. Here are three things that stuck with us after the debate. 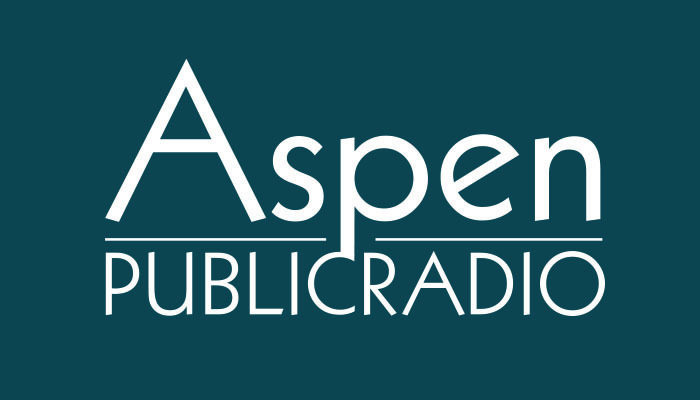 Scott Franz spoke with KUNC's Desmond O'Boyle about Friday morning's gubernatorial debate. It wasn't just the setting of the debate in a wooden barn adorned with cowboy hats and bull horns that made this debate more rustic than the other showdowns. The candidates fielded more questions about rural issues, including water, than in previous debates. Asked what they would do to benefit rural residents of the state, both candidates said rural broadband would be a priority in their administrations. But on water, Stapleton tried to paint Polis as a candidate who wouldn't support creating new reservoirs on the Front Range to close the water gap in the area. Polis countered that water storage is part of a plan he would support, and that he had tried to bring Fort Collins to the table on a plan to build two new reservoirs in northern Colorado. Friday's debate was hosted by Pro 15, a group that focuses on issues important to residents of northeast Colorado. Stapleton used almost all of his answers to directly attack Polis. For most of the debate, Polis didn't return fire. He largely stuck to his own vision for the state, and at one point he even commended Stapleton for being critical of the Trump administration's policies on tariffs. But Polis looked visibly annoyed when Stapleton used a large part of his closing statement, and the final words of the event, to attack him. Stapleton might be adopting the aggressive strategy at debates because recent polls have him behind Polis. At the last televised debate on Oct. 17, the candidates were often pressed by the moderators when they didn't directly answer a question. That led to several cases of anchor Kyle Clark talking over the candidates and pressing for a more specific answer. But in this debate, the moderators took a more passive approach. They asked questions about transportation, affordable housing and other rural issues. And then they gave the candidates about three minutes to answer each question, without interruption. Election Day is Nov. 6. Ballots were mailed this week to registered voters.